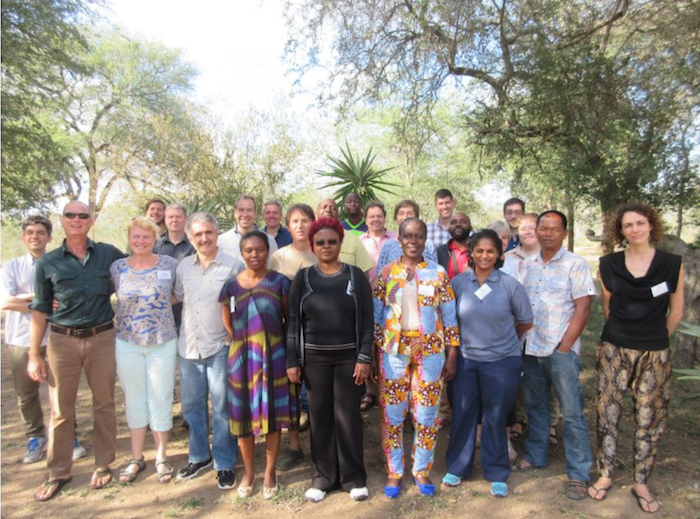 The Southern Africa Fire Network (SAFNet) of the Global Observation of Forest Cover and Land Dynamics (GOFC-GOLD) program held its tenth meeting in Skukuza at the Kruger National Park, South Africa, in April 2018. During the meeting, 27 delegates from 12 countries (Germany, Madagascar, Malawi, Mozambique, Netherlands, South Africa, Swaziland, Tanzania, USA, UK and Zimbabwe), exchanged on national and international fire research and science, discussed ways to improve fire and natural resources management strategies, and explored the opportunity to establish joint regional and international projects. Participants expressed enthusiasm and drive to revive the network and bring it back to a solid resource for the region. They identified the initiatives that have helped keep the network active, including long-lasting projects and funding provided by START and GOFC-GOLD. They also discussed areas for improvement, including maintaining active country focal points and stepping up communications within the network and with outside stakeholders. A full report of the meeting will be published on this page in the next few weeks.